Get the keys to a new 2019 Audi Q8, the Audi SUV that can take on New England terrain with style. 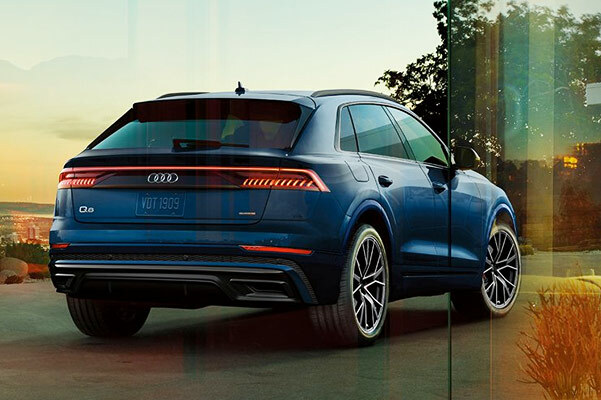 Loaded with premium handling features and capable drivetrain tech, the new 2019 Audi Q8 for sale at our Audi dealer near Lexington, MA, is ready for whatever road lies ahead. And when you slide into the new Audi Q8 interior, you'll see that the 2019 Audi Q8 dimensions offer plenty of space to bring passengers on an adventure. 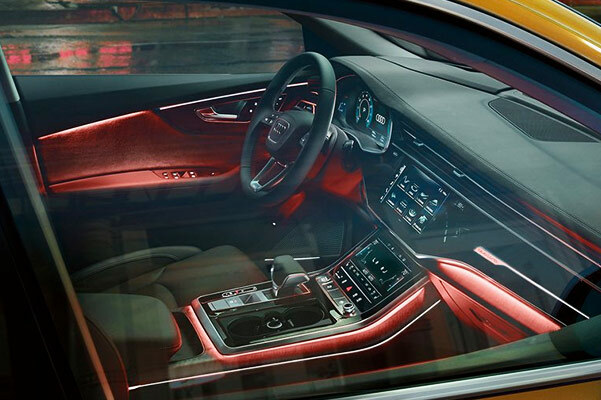 Opt for one of the upgraded trims, like the 2019 Audi Q8 Premium Plus, and enjoy interior amenities you won't want to live without. 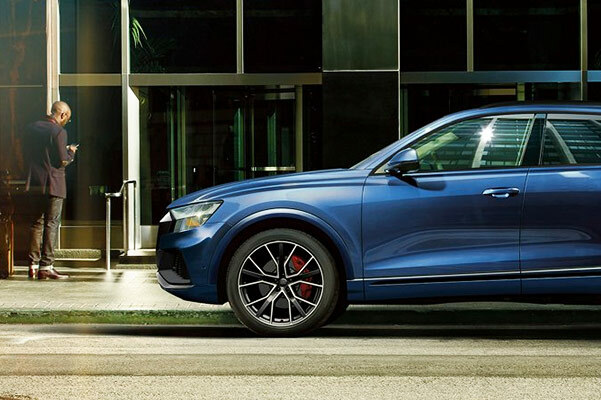 Discover your 2019 Audi Q8 lease and finance options when you consult the experts at Audi Burlington today! Want to know the difference between the 2019 Audi Q8 Premium and 2019 Q8 Prestige? Go over the full list of 2019 Audi Q8 specs with one of our expert team members to find out which new Audi Q8 is right for you. Don't forget to ask about our competitive 2019 Q8 lease and finance incentives.